size of the rooms, concierge, security guards very friendly. The property has complete facilities including swimming pool, garden, parking, tennis yard, etc. located in the strategy area at South Jakarta and near with the mall. 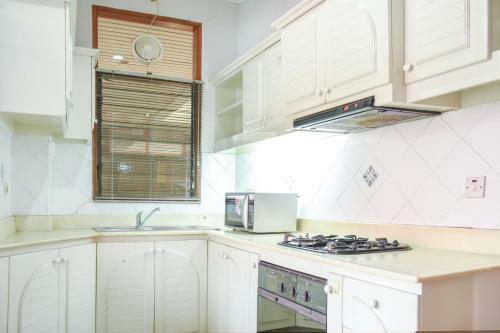 The kitchen was big but was poor in the tools ....living room as well big and the bathroom an old, aircon in bedroom needs maintenance ...no washing machine in the apartment! This apartment is located across from a Hypermart at the mall across the street. Hypermart is below the first floor. So getting groceries for the kitchen was fairly easy once the nearby supermarket was found. The rooms are spacious and it was nice to use the pillow from the couch for between my legs in the bed. The shower water was hot which can be rare in Indonesia. The room were fairly quiet except for a Saturday morning. We used the kitchen everyday. It was well equipped. Lock in a great price for Pejaten Indah Apartment – rated 8.3 by recent guests! 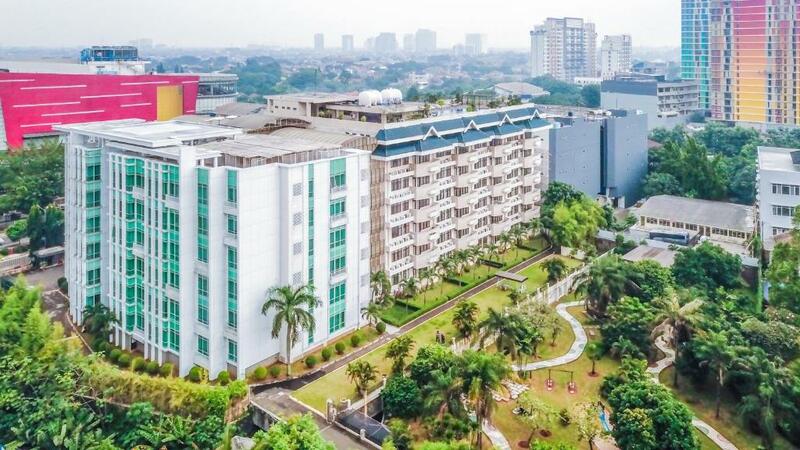 One of our top picks in Jakarta.Located 4.5 miles from Ragunan Zoo and providing an outdoor swimming pool, Pejaten Indah Apartment has accommodations in Jakarta. The accommodations feature a hot tub. 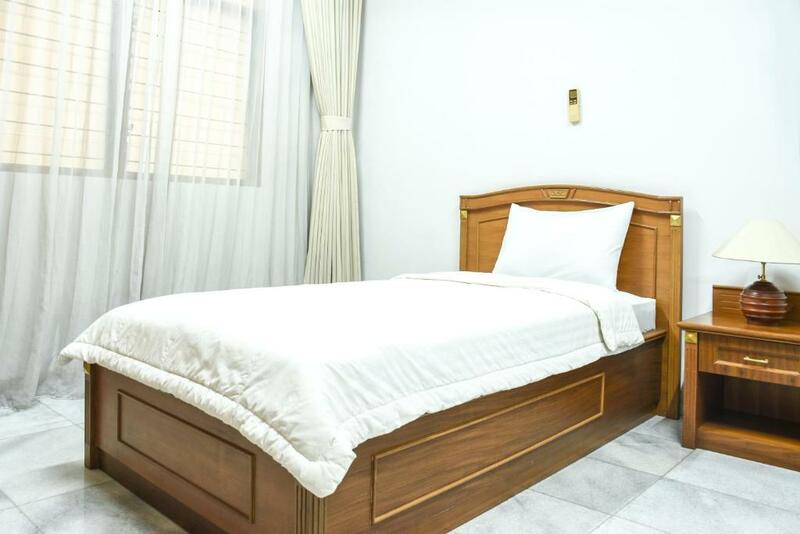 All units come with a living room, a seating area with a sofa, a flat-screen TV, a fully equipped kitchen with a dining table and a private bathroom. Some units have a terrace and/or a balcony with garden views. Pejaten Indah Apartment provides a grill and a playground. Pacific Place is 5 miles from the accommodation. 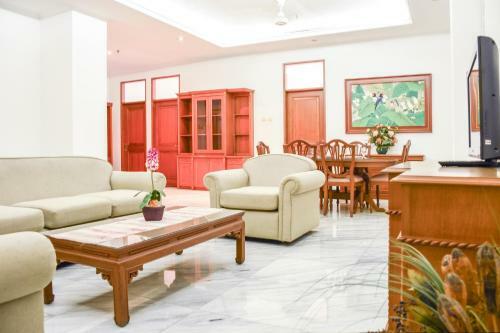 The nearest airport is Halim Perdanakusuma Airport, 8 miles from Pejaten Indah Apartment. 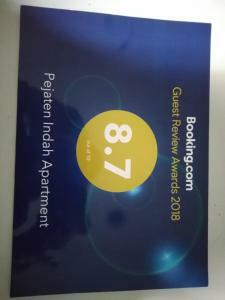 When would you like to stay at Pejaten Indah Apartment? This apartment has a toaster, microwave and satellite TV. House Rules Pejaten Indah Apartment takes special requests – add in the next step! Any additional children or adults are charged IDR 150000 per night for extra beds. Pejaten Indah Apartment accepts these cards and reserves the right to temporarily hold an amount prior to arrival. Please inform Pejaten Indah Apartment of your expected arrival time in advance. You can use the Special Requests box when booking, or contact the property directly using the contact details in your confirmation. Internet wifi weak spot in the bed room at the desk. Had to use the cellphone plan to connect. The internet was strong in the living room adjacent to the kitchen. One Saturday morning they had dance music all morning long. Extremely noisy being next to a busy road. Could not sleep for many nights due to motorcycle noise througout all hours of the day and night. Unfortunately during our stay at the property, our room never clean by the cleaning services, towel and bed sheet never changes, toiletries never add or change. The tea or coffee complimentary only provide at departure. You should buy mineral water by your own. It was so hard to check in with visa card eventhougj it says I could check in with it. Receptionist coundn't speak English and it was closed in late night. But they were so friendly and kind. You should not to expect for amenities. It was clean and room condition was nice either. Evethough I couldn't use swimming pool for my personal schedule I would like to use if I had one more chance to stay here. You could check out late if you checked it late. It's 24hours system, so it is most convinient system for someone. The noise from vehicle on the street outside. As the place is located in the main road, it was never a quite moment at all. Light sleeper are not recommended to stay in our room at 5th floor, perhaps must make a request for a different room. As for us, we don't really minds it that much. No cover for the swimming pool when its raining - resulting the pool water were contaminate with the polluted rain water of Jakarta. We like how friendly, helpful & nice people at the property were. Even though the person on stand by every time we met were security and its not part of their actual jobs but definitely a big shout out for them for assisting us during our stay. The place even though rather out dated but because it was highly maintain, it felt really cozy and something about it that makes it homey.